Visit Arcadia Bay free-of-charge from July 21 onward. 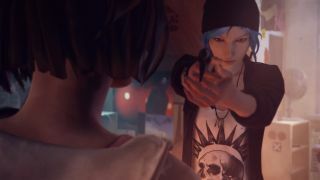 The first episode of Dontnod’s multi-award winning adventure game Life Is Strange will be available to download for free tomorrow, publisher Square Enix has announced. Although perhaps not for everyone, one of the most impressive things about Life Is Strange is its propensity to affect people in so many different ways. It was Chris’s Personal Pick of last year; whereas Phil described it as “unfocused but earnest”, but nevertheless found it to be one of his favourite games of 2015. Jody MacGregor discussed why a bad ending needn’t ruin a great game after finishing Chloe and Max’s tale; and Andy shared his thoughts on how it channels Twin Peaks. If you’re yet to try it, you can begin to craft your own slant when Life Is Strange’s episode one launches for free tomorrow via its official website.